Barry Kernfeld is the author of Pop Song Piracy: Disobedient Music Distribution since 1929 (University of Chicago Press, 2011); The Story of Fake Books: Bootlegging Songs to Musicians (Scarecrow, 2006); and What To Listen For In Jazz (Yale University Press, 1995). He may be most well known as the editor of both editions of the New Grove Dictionary of Jazz, a massive undertaking that sought to define the major players, instruments and theories of jazz around the world. In this interview, Kernfeld talks about his early years in San Francisco during the height of the rock explosion; his move to Cornell in the 70s and the unexpectedly progressive atmosphere he found there; how he came to edit the New Grove Dictionary of Jazz and the response to its first edition; and his subsequent investigations of song piracy and fake books. Learn more at www.personal.psu.edu/bdk4. Herbie Nichols would have been 92 years old today. 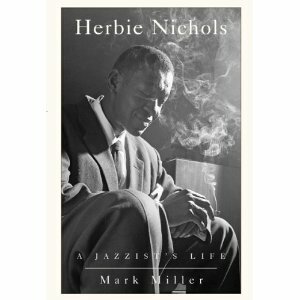 The pianist is the subject of a new biography — Herbie Nichols: A Jazzist’s Life by Mark Miller. In this interview, Miller talks about why Nichols failed to become known during his lifetime; why Nichols is often labeled an acolyte of Thelonious Monk; and how Miller came to write the book in the first place. Learn more at the Web site of The Mercury Press. ADDITIONAL LISTENING: Check out the “Herbie Nichols’ Third World” episode of David Brent Johnson’s excellent Night Lights program. UPDATE: At the end of this episode, I said that Herbie Nichols died at the age of 34. He actually died at the age of 44. Thanks to listener Robert Klein for the correction. 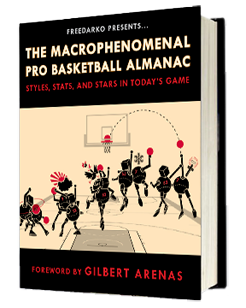 Before he began writing about basketball at freedarko.com and in FreeDarko presents The Macrophenomenal Pro Basketball Almanac: Styles, Stats, and Stars in Today’s Game, Nathaniel Friedman wrote about jazz. In this interview, he discusses the “basketball=jazz” meme; a popular jazz album that many people lost their virginity to; and the need to turn sports into art. Learn more at freedarko.com. 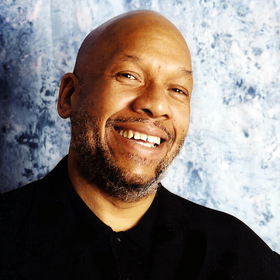 Willard Jenkins is a jazz broadcaster and blogger, and a consultant to jazz artists and festivals. Jenkins’ blog, The Independent Ear, is a constant source of news and views about the jazz world. In this interview, Jenkins talks about the diminishing influence of jazz in people’s home record collections and thus in the lives of their children; why jazz is no longer an integral part of the black community experience; and that jazz isn’t dead — but it does need to work on audience development. 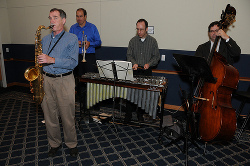 Learn more at openskyjazz.com.